Southwest is one of the most popular airlines in the United States. If you are loyal to Southwest, you may be wondering which credit card will give you the most miles to redeem with the airline. The Southwest Rapid Rewards® Plus Credit Card from Chase is currently offering new cardholders 40,000 miles when they spend $1,000 within the first three months of opening their account. Chase gives cardholders 3,000 points on their cardmember anniversary. Southwest purchases earn 2X points as do purchases made on Rapid Rewards hotel and car rental partners; all other purchases earn one point per dollar. There is a $69 annual fee. There are no blackout dates, and cardholders can use their points to book tickets for a travel companion. The APR is 18.24% to 25.24% variable. The Southwest Rapid Rewards® Priority Credit Card gives all the perks listed above for the Plus card, but significantly enhances some of the other rewards. Cardholders earn 7,500 points on their anniversary rather than 3,000. The annual fee is $149 but you receive a $75 Southwest annual travel credit, 20% back on all in-flight purchases, and four upgraded boardings per year. There are no foreign transaction fees with the Priority card, so cardholders can save 3% on any purchases made while traveling internationally. Cardholders also receive 1,500 Tier Qualifying Points toward A-list and A-list Preferred status for every $10,000 spent, up to $100,000. The APR is also 18.24% to 25.24% variable on the Priority card. If you do not fly Southwest exclusively, you may want to look into a more general airline credit card. On many of these, your general spending may also help you accumulate more points that can be exchanged for travel. 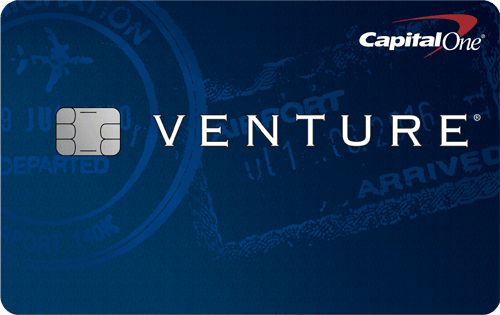 The Capital One® Venture® Rewards Credit Card is offered to those with good credit (a score of 700 to 749). There is a $95 annual fee, but it is waived for the first year, and new cardholders can also earn 50,000 miles when they spend $3,000 on purchases within the first three months of opening their account, which equates to $500 in travel. Cardholders also earn 2X miles on every purchase, every day and can currently earn 10X miles on hotel stays booked through hotels.com/venture (the promotion is scheduled to end January 2020). Cardholders pay no foreign transaction fees, can fly any airline and stay at any hotel and will receive up to a $100 application fee credit for Global Entry or TSA Pre✓®. The card has an APR of 17.99% - 25.24% (Variable). The Bank of America® Premium Rewards® credit card gives up to $200 in combined airline incidental and TSA Pre✓®/ Global Entry statement credits. The card offers those with excellent credit an airline rewards credit card where you can earn 2X points for every dollar spent on travel and dining and 1.5X points on all other purchases, which is better than many credit cards, which offer only one point per dollar spent on non-specialized purchases. New cardholders can earn 50,000 bonus points when they spend $3,000 within the first 90 days of opening their card, which equates to $500 in travel. Further, Bank of America Preferred Rewards clients can earn a 25% – 75% rewards bonus on every purchase. While there is a $95 annual fee, you will pay no foreign transaction fees. The card has an 18.24% - 25.24% Variable APR on purchases. Citi is offering new Citi Premier℠ Card holders 50,000 ThankYou points when they spend $4,000 in purchases within the first three months of opening their account—enough for $625 in airfare on any airline when booked through the ThankYou Travel Center or $500 in gift cards when redeemed at ThankYou.com. Cardholders earn 3X points on travel purchases, including gas stations, 2X points on restaurants and on entertainment, and on point for every dollar spent. The points never expire, and there is no limit to the amount of points you can earn. Additionally, you can transfer your points to a participating airline loyalty program, and Citi charges no foreign transaction fees on this card. The card has an APR of 16.74%-25.74% (Variable). The Barclaycard Arrival Plus® World Elite Mastercard® is a great option if you would like to earn miles for travel and are looking for a balance transfer credit card. Currently, Barclaycard is offering new cardholders 0% APR for 12 billing cycles on balance transfers made within the first 45 days of opening the account. While balance transfers will not earn miles, new customers can earn 70,000 bonus miles when they spend $5,000 on purchases within the first three months of opening their account. All purchases earn 2X miles per dollar. Points can be redeemed at any airline at any time, including Southwest, and cardholders get 5% of their miles back whenever they redeem points. Additionally, Barclaycard charges no foreign transaction fees, and the $89 annual fee is waived for the first year. 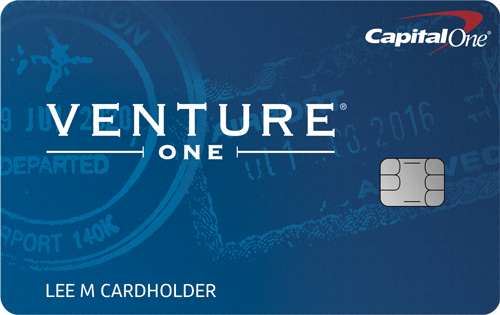 The card has an APR of 18.24%, 22.24% or 25.24% variable based on your creditworthiness.